Sherman & Hemstreet employs brokers who hold the SIOR and CCIM designations. These are the highest levels of achievement an industrial or office broker can obtain. This helps to separate us from our competition and enables us to fill more properties than other non-SIOR brokers. Our brokers are the top seasoned professionals in their field of expertise. 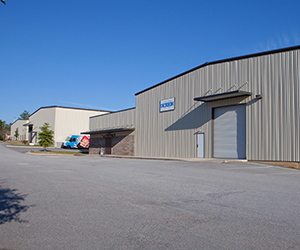 For decades, Sherman & Hemstreet has been the top industrial broker in the CSRA. We pride ourselves on having filled most of the buildings in town and in having the top expert knowledge of the market, its trends, and its future. We often assist national industrial users locating to the area, as well as with existing tenants on renegotiating their lease or expand into more space. The list of Fortune 500 companies we have represented is vast and includes FedEx, Clubcar, Ez-Go, and CVS to name just a few. This has brought many job opportunities into the area, as well as highly desirable businesses.